Heeft u een vraag voor View Khemkhong Guesthouse? 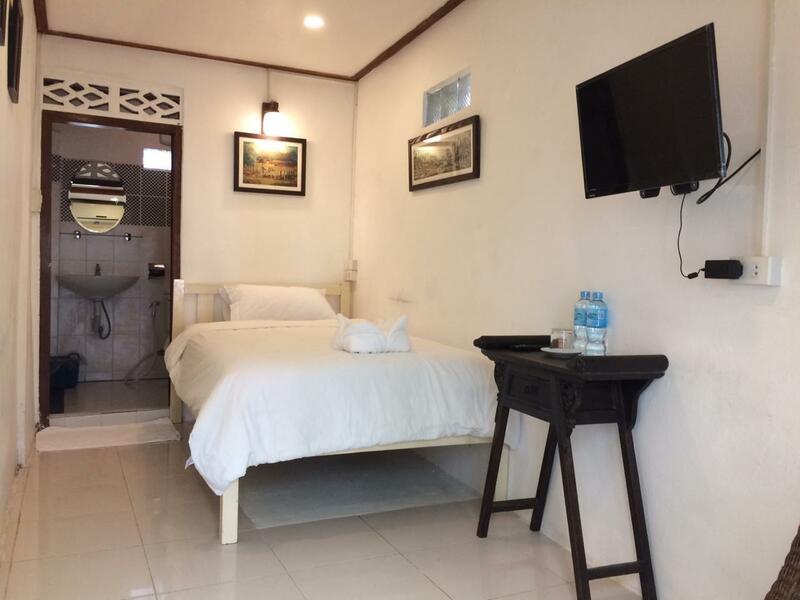 Als u zoekt naar een gunstig gelegen accommodatie in Luang Prabang, zoek dan niet verder, View Khemkhong Guesthouse is wat u zoekt. Het hotel ligt niet ver van het stadscentrum: de afstand is ongeveer 0.0 KM en het duurt, over het algemeen, ongeveer 15 minuten om het vliegveld te bereiken. Dankzij de praktische ligging, biedt de accommodatie eenvoudig toegang tot alle belangrijke trekpleisters van de stad. Bij View Khemkhong Guesthouse staan de excellente service en de superieure voorzieningen garant voor een onvergetelijk verblijf. De topvoorzieningen van de accommodatie zijn inclusief gratis wi-fi in alle kamers, post service, taxi service, 24-uur beveiliging, 24-uur receptie. De ambiance van View Khemkhong Guesthouse weerspiegelt zich in de inrichting van iedere gastenkamer. plasma tv, handdoeken, internet (draadloos), draadloos internet (gratis), rookvrije kamers zijn slechts enkele van de voorzieningen die u ter beschikking staan. De accommodatie biedt talrijke recreatieve mogelijkheden, zodat u voldoende te doen heeft tijdens uw verblijf . Ontdek een boeiende mix van professionele service en een breed scala aan voorzieningen in View Khemkhong Guesthouse. Prachtig gesitueerd. Vriendelijk en behulpzaam personeel. Standaard kamer aan de kleine kant als je met koffers reist. We moesten even zoeken, maar onze guesthouse lag mooi aan de Mekong. Sfeervol met een super restaurant. Wat hebben we daar lekker gegeten. Aardig personeel; behulpzaam en geïnteresseerd. Schoon, kleine kamer maar met alles erop en eraan. Toch heel dicht bij de hoofdstraat en de nightmarket. Vlakbij allerlei massagetenten. Een heel fijn verblijf met prima schone kamers. Het personeel is vriendelijk en enorm behulpzaam waardoor er erg veel mogelijkheden zijn. Niet twijfelen maar gewoon boeken! Kleine kamer, maar goede ligging aan de Mekong. Zeer behulpzaam personeel. Let op: een enkele kamer is zeer gehorig vanwege gebrekkige waterleidingen. Weliswaar erg kleine kamers, maar dat wordt ruimschots gecompenseerd door de prachtige ligging nabij het centrum en direct aan de Mekong rivier. Bovendien is manager Eric bijzonder aardig! Hele vriendelijke eigenaar, die ons goede informatie gaf. De kamer is niet echt ruim, maar bovenstaande punten maakten het helemaal goed. we hebben zelfs twee dagen extra geboekt. I stayed there for 2 nights , was impressed since arrival. Eric welcomed us and always ask how we are, also recommend us in many things. The location is easy ,just 5 minutes walk to the market and in front with the river. The room is ok too , worth for money. If I come back again I will definite back to stay there. This little hotel has very small rooms at a budget price. It's in a great location. The front verandah rooms are probably worth enquiring about. The staff were friendly and helpful. The restaurant across the road is handy. The location is good in the city center and by Mekong. The French guesthouse owner/manager is very polite, helpful and in general a nice guy. 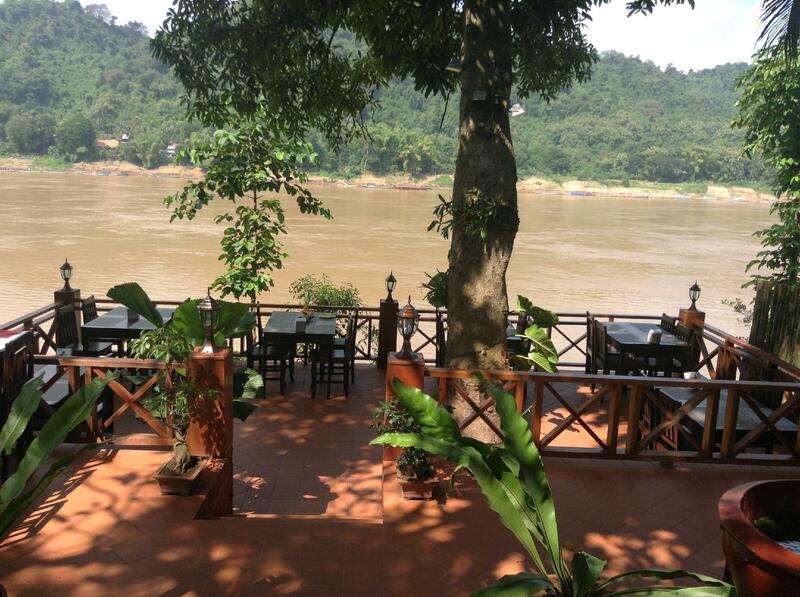 The restaurant has a nice view to Mekong and guesthouse guests get a -20% discount. Our minivan ride was arranged via the guesthouse. No complaints, good price/value. A lovely little hotel facing the Mekong in a quite location and 2 minutes away from where the Monks take early morning Alms and the night market Many riverside restaurants and not plagued by tour groups. We booked for 2 and ended up staying 5 nights. Our first hotel in 6 weeks with hot water!! Eric the owner, a charming frenchman is wonderful, he was so helpful and nothing was too much trouble. Extra water, duvets and hairdryer appeared on request He is very knowledgable about LP and made our stay there all the more enjoyable All the staff are excellent and speak English. The restaurant for the hotel is across the road on the riverbank and so lovely to take breakfast and dinner with the peace and quite. 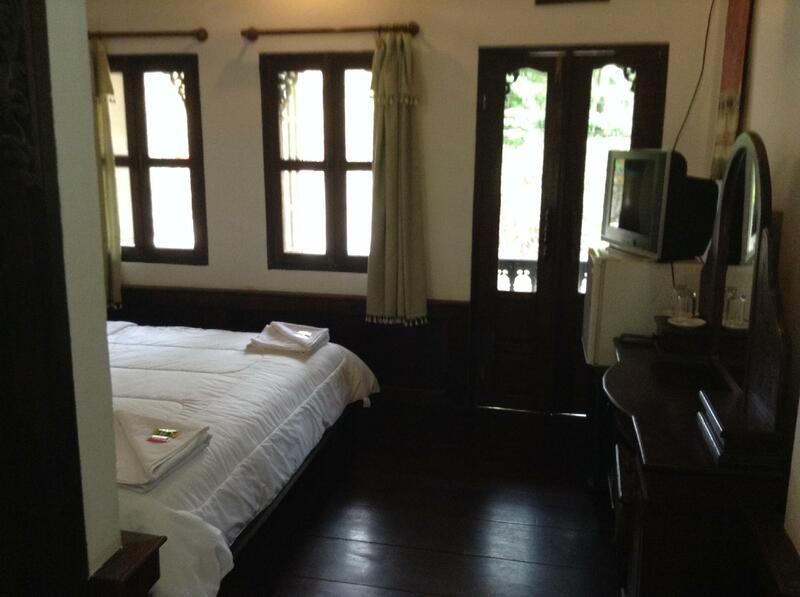 Don't normally do reviews, But View Khemkhong Guesthouse deserves some very good comments. Aside from the guesthouse's "most excellent" location, Eric was always very personable and provided great advice on what is on around LPB. Albeit 2 star facilities rating, which were clean and friendly, they provided great value. Would highly recommend it and have no hesitation in staying again when visiting LPB. 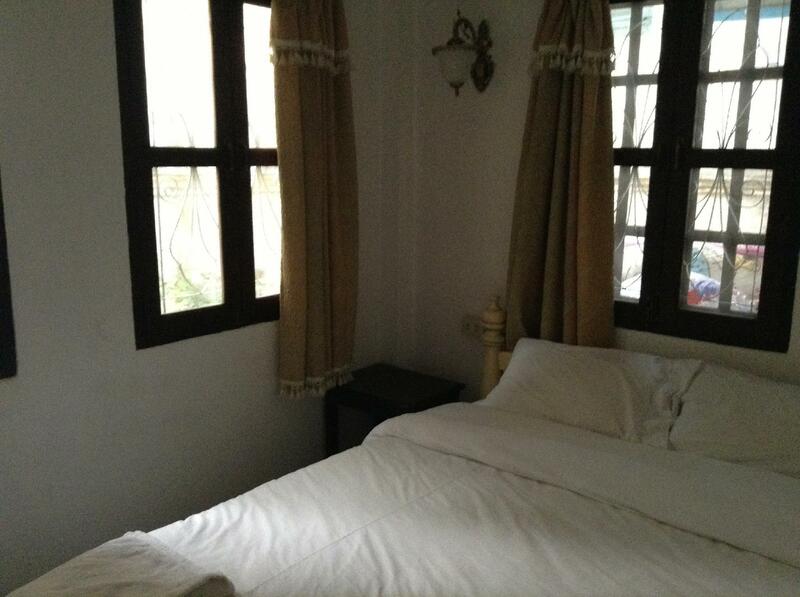 There is nothing negative that can be said about this 11 room property on the banks of Mekong. 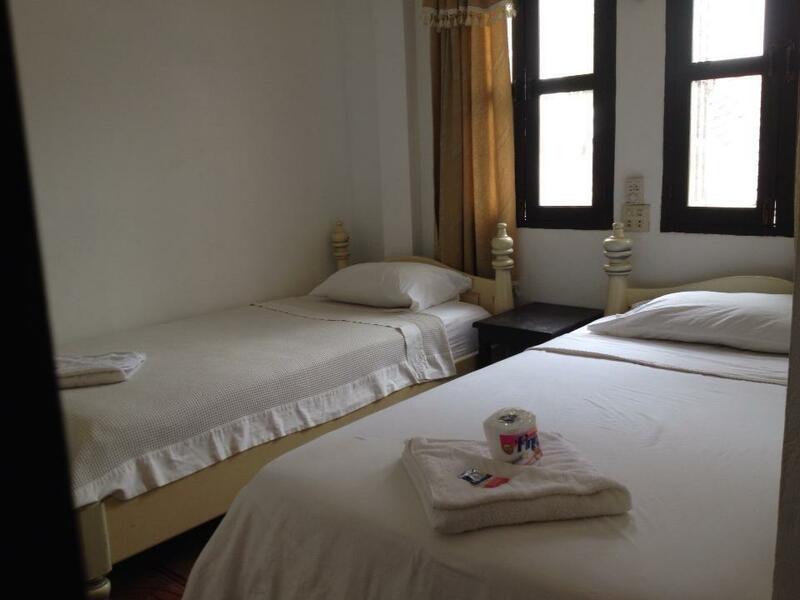 The rooms are small but scrupulously clean,the a/c and shower very adequate, the proximity to the sights,markets and street food as good as can be found. The staff pleasant,the management friendly and very helpful. Advice as to who to book tours with and what to see was helpful and saved us both time and money. The restaurant is good for a sundown cocktail and the food as good as any we tasted while in Luang Prabang It is important to note that there is a taxi/tuk-tuk scam from bus station etc where the driver will dump you at a distance from any hotel so he can double back to get more passengers saying that because of the night market/ festival etc he cannot take you to the door. Do not believe this,refuse to get out until delivered,negotiate and,do NOT pay until you arrive. Price to airport was 60000 Kip for four persons and luggage. Private Tuk-tuk to best 60m waterfall 200,000 return. A wonderful stay for me! The owner is such a sweet lady and speaks very good English! The workers were all very patient as I tried to practice my Lao. Would definitely stay here again - such a great location! 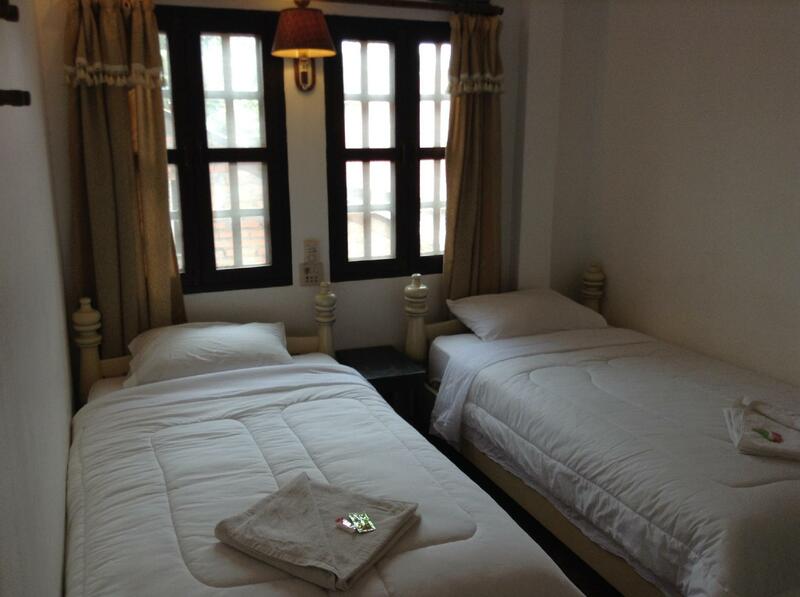 Great location by the Mekong river & near temples and cultural sites. It is reasonably priced and has a friendly helpful French manager. Small rooms but comfortable enough. Nice, riverside restaurant too. If you want big rooms, luxury and pampering perhaps not for you. For everyone else, highly recommended! Keep in mind this is budget accomodation. But what you get is a very central location, bonus views right on the river, clean rooms and private bathroom PLUS the most friendly staff! Eric and his team go above and beyond, they tell you the best places to go, they help you get fair pricing - they even looked after our laundry. The guesthouse is within walking distance to the Royal Palace, the Night Market, the Morning Market, the Main St and some of the most beautiful Temples in Laos. Thank you for an amazing week Eric, we will be back.